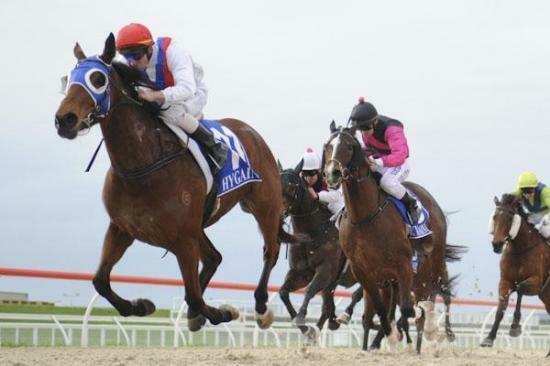 Secret Wand was ridden more positive by Dale Smith at Pakenham Synthetic on Tuesday with a dominate 1 3/4 length win in the $17.5k Pakenhamracing.com.au 0-58 Handicap (1400m). After jumping well from barrier 10 the daughter of Elusive Quality sat outside the leader Crisis Point always travelling like the winner. On straightening Secret Wand drew away to win by 1 3/4 lengths from Ostinato who ran on into second with a further length back in third Tigerdan in track record time of 1:26.86. Secret wand has shown a great affinity for the Pakenham Synthetic track having had three starts there for a win and two thirds. She has been very consistent for the stable after being purchased as a yearling for clients now having had 34 starts for 3 wins, 7 seconds, 6 thirds for $58,255.